Visible imagery from NASA’s Terra satellite revealed that strong wind shear was adversely affecting Subtropical Cyclone Joaninha in the Southern Indian Ocean. On April 1 at 1:20 a.m. EDT (0520 UTC), the Moderate Resolution Imaging Spectroradiometer or MODIS instrument aboard NASA’s Terra satellite provided a visible image of Subtropical Cyclone Joaninha. 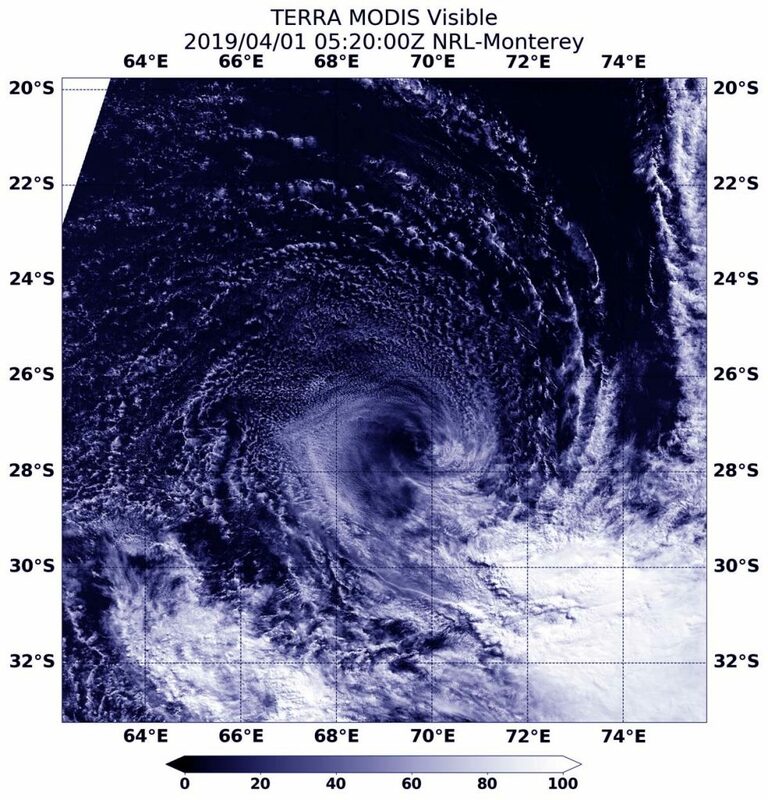 Joaninha transitioned into a subtropical storm over the weekend of March 30 and 31. Joaninha’s center was surrounded by a swirl of clouds around its center with most of its clouds and thunderstorms pushed southeast of center. Strong westerly to northwesterly vertical wind shear were tearing the storm apart.